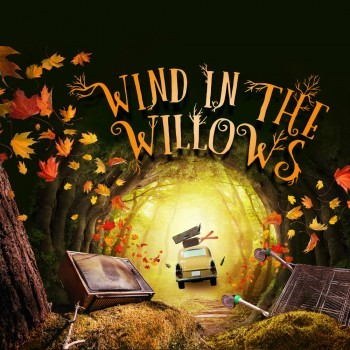 The story of Wind in the Willows, is a story that I’ve heard about but never actually read. So when going to see this show at The Mercury Theatre, I went into the show with a complete open mind. I got lucky enough to go to a touch tour before the show in the afternoon. For those who don’t know, a touch tour is part of the access element which most shows and theatres offer even if it’s a local theatre or London’s West End. 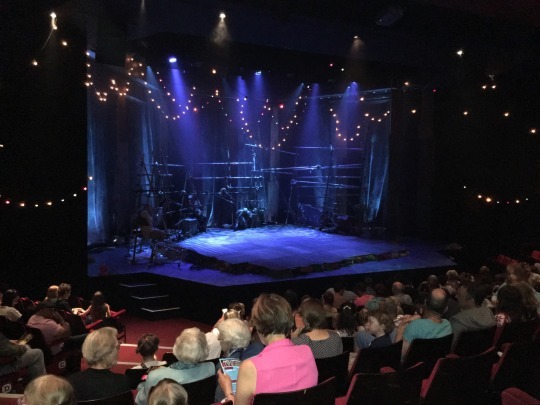 A touch tour is where disabled audience members get to experience a full feel of the show, getting to see/feel the sets on stage and costumes that the actors and actresses wear. In today’s case, The Mercury Theatre did this very well, each actor/actress came up to each person individually and allow them to touch their costume and whilst I was doing so, the actor/actress described the item in question e.g. the item’s colour, texture and where and how it was used in the show. They did the same with the musical instruments and some were very different and some which I had never seen before e,g, various pots and pans you would use when cooking. After they showed us the instruments, they then played a sample of a song in the show showing how the instruments are used. After that we had a questions and answers section, but no one actually asked any questions so it just ended early. After the touch tour had ended, I then went to the ticket office to collect the tickets for the show later that afternoon. I was also lucky enough that the also gave me a discount on food and drink. Now I am not sure if that was because they knew I was press or it was part of the disabled access, but either way it was a nice touch so I will never turn that down so other theatres reading this take note! :). The show was overall very good. The acting was of a good standard, the use of setting and lighting added to the atmosphere of the whole show. I really liked the fact that the cast played most of the songs in the show themselves, which I rather enjoyed. Every song made me smile whenever they start singing so thats always a good sign. Their was a lot of audience participation for example during the chase scene, the cast would run through the audience so to heighten the atmosphere and as a audience member I really wanted the good character to get away. Throughout the show, all the cast would use the auditorium doors as a way of entering and exiting a scene, so it made you feel like you were part of the story. Photo (above): Photo of the stage and some of the audience before the show started. I felt that the first half of the story during the first half of the show was a little hard to follow and understand, but the second half of the show, I had a much better understanding of what was going on story wise. The cast increased the audience participation, so in terms of that alone by the end of each scene I felt like I was part of the show, and up there on the stage with them. However, the nicest touch I felt was at the end of the show, where the cast allowed members of the audience to come up and dance with them! As soon as they announced this, most all of the kids in the audience (and I must say some of the parents) ran down the stairs and went on the stage and loved being with the cast! This is something which I believe should be encourage within shows everywhere, not just local theatre. I would highly recommend going to see this show! If you have young kids I strongly recommend you see this show with them, they will love it! The show is very family focused, both children and parents will find moments of the show hilarious! So if you are finding it difficult to find things to do this Summer, go see this show! If you are interested in seeing the show for yourself, I will leave the website to the theatre below!